Recurring experiences in nature during childhood improve a child’s well being, spark creativity and big-picture thinking, and enable them to envision their place in the world. 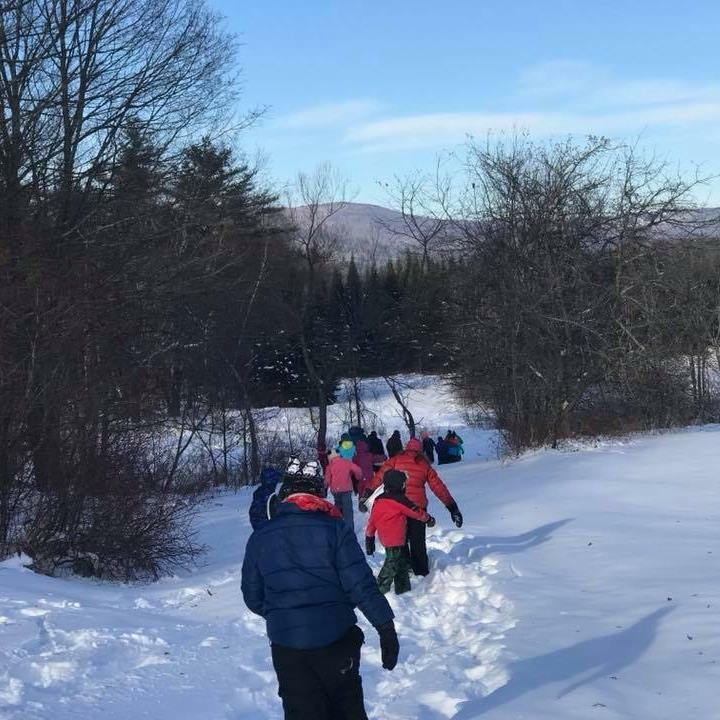 At MVCS, we embrace the natural landscape as an educational tool, repeatedly visiting outdoor sites during the course of the school year to build an emotional connection between children and the earth. Like our students, nature is dynamic, constantly changing from day to day and month to month. Our 38-acre forest campus provides endless opportunities for students' curiosity. As students become comfortable in our outdoor space, they become keen observers of their surroundings. From the more obvious (leaf color changes), to the most subtle (the size and shape of pine needles), each natural shift prompts us to question, search, observe, and hypothesize, leading students down multiple lines of inquiry. Healthy, engaged, and aware children are best equipped to build the sustainable future that MVCS promotes through nature-based education. Explore some of our nature connections below. 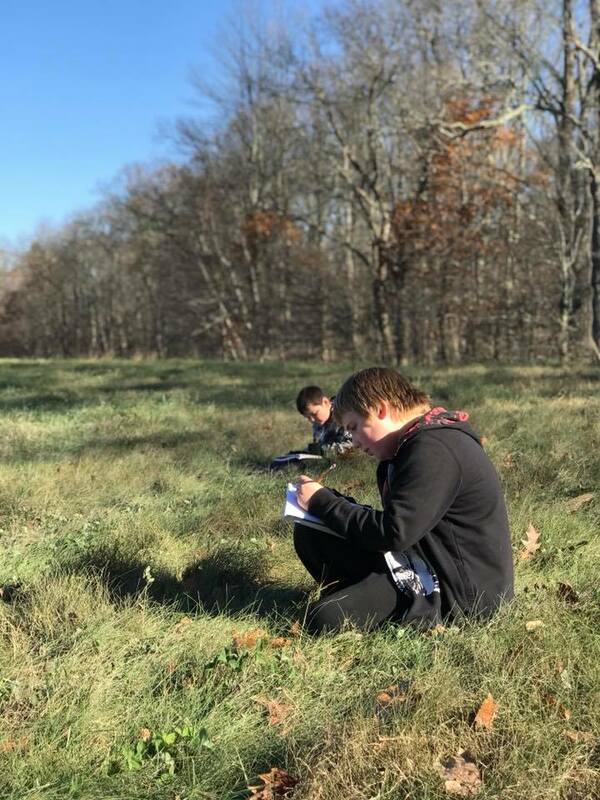 Special places on our campus provide lasting connections between students and the land. From planting to harvest to compost, on and off-campus activities give students hands-on experiences in the life-cycles of plants. Moving through our network of nature trails provides a holistic learning experience, connecting mind, body, and place. With a careful eye, students monitor their surroundings and record their observations in journals. Both alone and in groups, fort building sparks creativity, problem-solving skills, builds independence, and fosters collaboration. At the Baker River, our students learn about wetlands and the Pemi-Baker Watershed. Wells, N. M., Lekies, K. S., (2012). Children and nature: Following the trail to environmental attitudes and behavior. In: J. Dickinson and R. Bonney (Eds.) Citizen Science: public collaboration in environmental research. Ithaca, NY: Cornell University Press. Duerden, M. D., Witt, P. A., (2010). The impact of direct and indirect experiences on the development of environmental knowledge, attitudes, and behavior. Journal of Environmental Psychology, 30(4), 379-392. Jack, G., (2010). Place matters: The significance of place attachments for children's well-being. British Journal of Social Work, 40(3), 755-771. Leong, L.Y.C., Fischer, R., McClure, J., (2014). Are nature lovers more innovative? The relationship between connectedness with nature and cognitive styles. Journal of Environmental Psychology, 40, 57-63.